Stay connected, informed, and inspired. 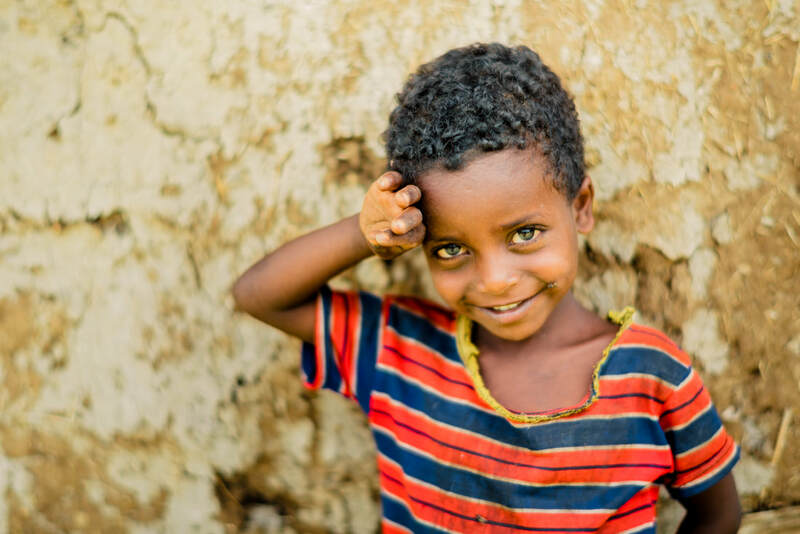 Your partnership is helping to transform the lives of countless men, women and children in Ethiopia. Stay up to date on the inspiring work being done, as it happens, directly from the field. On December 1st, Three Roots held its annual event, An Evening With Three Roots International, to celebrate, reflect, and share about all of the life-changing work our supporters have helped make possible this past year. Thank you to everyone who walked alongside us make the event and the past year a success! Read about the many impactful ways Three Roots made a difference in 2017. These real-life examples highlight the hope and powerful changes taking root in the community because of your help. New blog post features Three Roots as a fastest-growing non-profit on Classy in 2016. Photos from the new thriving Kindergarten program! Researchers have estimated that 90% of a child's brain development occurs by the age of five. Because of this, early childhood development is vital for creating a better, more successful future for children living in extreme poverty. A kindergarten program helps maximize early childhood development and offers children access to the nurturing they need to get the best start in life. 2018: This is what you made possible! Because of you, 2018 was a year of immense growth. 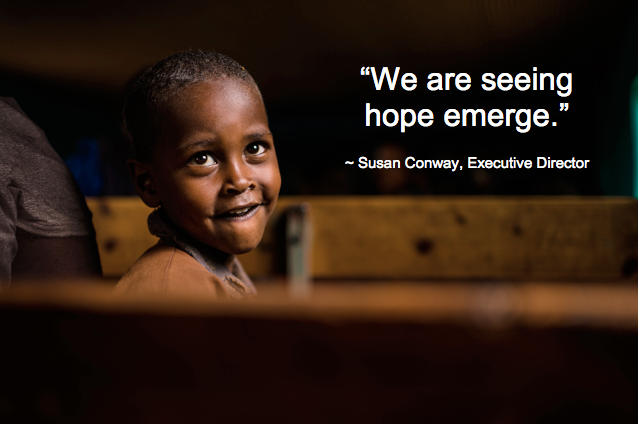 The lives of those living in extreme poverty are improving, and a brighter future has become tangible. We are inspired by what you have made possible and give great thanks for your support. Many of the women in savings groups have chosen basket-weaving as a source of income for their family. Each hand woven basket is not only a symbol of hope for the family, but it also shows their commitment to finding freedom from extreme poverty. First-Ever Medical Volunteer Team Brings Healthcare to Those in Need. Just a few weeks ago, twelve team members, including six nurses and two physicians traveled over 7,000 miles to bring healthcare to a community in which many had never been examined by a doctor before. The team set up a free mobile medical clinic and treated over 400 men, women, and children. On the Front Lines: Meet Our Country Director. To effectively create lasting change, Three Roots relies on our in-country team to implement the daily work of our programs. At the helm of this team is our Country Director, Demissie Tilahun. Volunteer Teams Help Define A Better Future. This past June, we welcomed a volunteer team of 14 dedicated individuals to serve our partner communities. Volunteers are crucial to advancing our mission, and we are so grateful that they leave their comfort zone to serve those in need. Highlights of the trip included the delivery of a Teacher Empowerment Training, running the 2nd Annual Sports Camp and registering 15 new children into our sponsorship program. Increasing the Odds By Reducing School Drop-out. By restoring and preventing the closure of the local community school in 2017, we are seeing the collective mindset towards education changing and its value beginning to be realized. Instead of children dropping out of school to help farm the land or tend to livestock, families are starting to make education a priority. Women's Savings Groups Build Momentum. The women’s savings groups in our focus community have taken the next step by preparing and submitting formal business plans to our social worker. The money they have saved, along with the support of generous donors, has been used to create a revolving fund to help launch the loans these women need to implement their businesses. Fighting Poverty through Health Promotion. 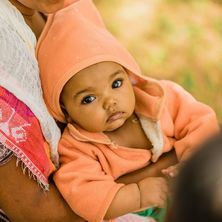 Children raised in poverty are at high risk for many health-related problems, such as malnutrition, water-borne illnesses, or other preventable disease. Without physical wellness, children are in danger of falling behind in school, which may have long-term implications for their development. Parenting for a Brighter Future. Effective parenting can have lasting impact. In March, Three Roots sent a volunteer team of 13 women to provide parenting training for the mothers, fathers, and caregivers of the sponsored children. Celebrating a Clean 2017 Project Evaluation Report! We are overjoyed to share that Three Roots International received a positive and encouraging project evaluation for 2017. This permission is based upon how well we comply with government regulations and how effectively we work in the community. The favor and approval we have cultivated is essential to the success of our programs. By partnering with the Ethiopia's Ministry of Education, Three Roots was able to provide valuable training to not only the teachers at our focus school but also to leaders of schools in surrounding areas. We are so grateful to support the government's efforts to improve education and look forward to collaborating in the future. The School Transformation is Underway! Last year the school was on the verge of closing its doors. This year renovations have begun to create a quality learning environment for the children in the community. The first phase of improvements have been completed, and we are excited for more changes to come! Hope is Rising for Ayelu and Her Community. For Ayelu and her community, poverty has become a trap that cannot be outrun. With the help of Three Roots, Ayelu is creating a better life for herself and her family. We are writing a better story that will break generational cycles of poverty. One Volunteer Team. Lasting Impact. In June, Three Roots sent 14 amazing volunteers to Ethiopia. During one week serving the local community, the team saw firsthand how hope is emerging and lives are changing. From the first-ever sports camp, to addition of 14 new children to our sponsorship program, these volunteers made a lasting impact! 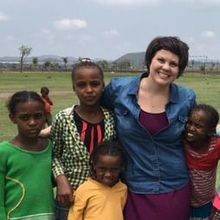 From Indiana to Ethiopia: A Volunteer Shares Her Story. Three Roots Volunteer, Evie Champoux, traveled to Ethiopia for the first time in June 2017 as part of a team delivering vital training to dozens of teachers. She shares about her experience in this blog post and explains how leaving her comfort zone made a lasting impact on the tapestry of her life. Women Find Independence and Hope in Savings Groups. Bere, a mother in our focus community, shares her experience as a newly-enrolled member of a women's savings group. These groups of 12-15 like-minded women save their money in a joint bank account and receive training on business development and financial management from the Three Roots team. Women, such as Bere, are being empowered to create a sustainable and predictable income for their families. First PTA Training Launches a New Day for Education! The newly elected PTA participated in a groundbreaking training to transform the community's participation in the life of the school and success of the children. Sponsors Bring Hope - and Light - to their Sponsored Children. The families in our focus communities do not have access to electricity. This means that when the sun goes down, children can no longer study or play, and mothers must cook on an open fire without light. In December, Three Roots partnered with MPOWERD to deliver a small, portable, solar-powered Luci light that works for up to 12 hours on a single charge to every sponsored family. Thanks to the generosity of our sponsors, these families now have the gift of light! Want to receive updates automatically? Three Roots International is a 501c3 non-profit organization.